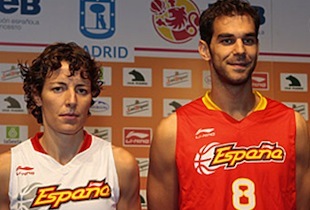 The Spain Basketball Federation has introduced the new uniforms for the Spanish National Teams both Men and Women. Players Elisa Aguilar and José Calderón are presented above in the picture with the new jersey that they will wear during the World Championships in Turkey and Czech Republic. The Spanish National Team continues sponsorship with Chinese company Li-Ning. 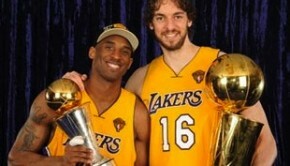 Every year the technology gets better and there is always great feedback and the players enjoy playing with the brand. 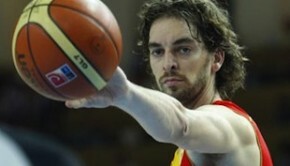 Basketball in Spain will keep you informed when the new 2010 Spain Basketball Jerseys will go on sale. when will be the jerseys available? That’s the problem. I haven’t seen the jersey’s sold outside of Spain ever. They are only possible to order at: http://tienda.feb.es . Try contacting them to see if they can make special request!